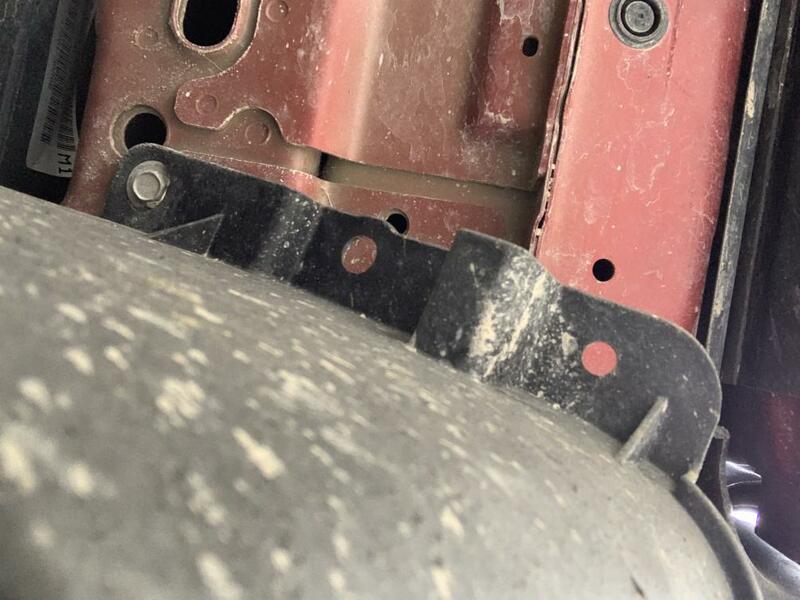 I was making a winter-to-all-season tire switch last weekend and noticed that one of the flaps in front of the rear wheels was turned half way. 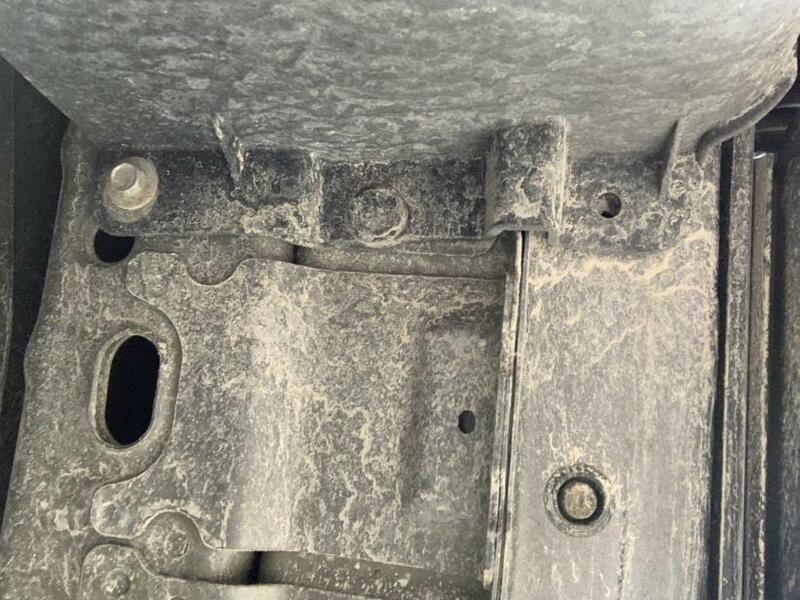 After closer inspection, I found that it was attached to the body with only 1 bolt despite having 3 holes neatly aligning with 3 holes in the body of the car. I thought I maybe lost one or two? After checking the other side, I discovered that it too was connected with just 1 bolt. Can anybody tell me the purpose of those flaps? Are they for drag reduction? They don't even align well with the tires. Also, can you post if your flaps are attached to the car with only 1 or more bolts? I believe they rattle at high speed a little because of loose 1-bolt connection. We have a 2016 and 2017.5 Murano. 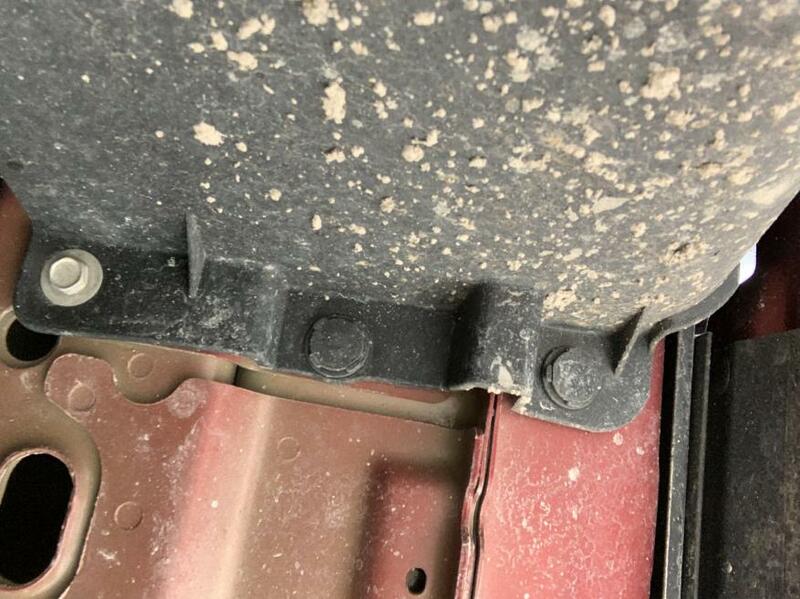 Being that we had a rough winter here in Michigan, both vehicles have broken plastic fasteners as shown in the attached pics. As you found out in the other post these are made to break away but the fastener retains the flap. I guess you could use some cable ties but I'm going to stop at the dealer for replacements, and a few extra push pins too! instead of adding the plastic push pins and running into this issue again is it possible to add 2 more fasteners to hold them in place? its what I would do. I've looked at multiple 2015 and 2016 Muranos over the past month or two and bought two. All had one or both the flaps in front of the rear tires broken. 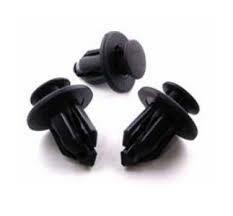 Replacing the plastic push clips with metal fasteners would alleviate the problem but then you run the risk of the whole thing breaking off. I think Nissan engineered it this way in order to avoid the whole part breaking opposed to a few clips. Just get some of the push clips, or just remove the air deflectors. Both sides on my 2017 were missing the plastic rivets as well but lucky for me I had a bag of them on hand because they are the same rivets that are used on my motorcycles plastic fairing bits. I ran a bead of silicon adhesive along the seams for good measure. I stopped into Fox Nissan in Grand Rapids last Friday and told the parts guy what I need and he gave me a hand full of them for no charge! Mine broke as well last year. Don't know how or when. So I just bought something similar to this off of Amazon. I'm sure I'll find a use for the use of more of them. One of those items you don't need often but glad yo u have them on hand when you do. '15 Murano SL, Black and Black w/Tech. Came to this thread & I wonder IFFFFFfff our 2017.5 would have this issue... sure enough, both flaps are missing the two rivets. I just wonder IF they were there at all from the factory ?!!!! * Found grease splattered around (passenger) front axle the next day after delivery,,, the CVBoot was cut cleanly. A few owners complained of the exact same thing in the forum. Probably the guy/gal carelessly openned the (right CVBoot) box with a box cutter? * The protective plastic film for roof chrome strips werenot removed prior to assembly. The dealer had to replace. * The heatshield rattled. The dealer had to re-tighten. Around 2004/2005?, the news said Nissan had to send hundreds of engineers (from Japan) to Canton to work out all those quality "issues". * Transmission leaks @ 15Kmiles. 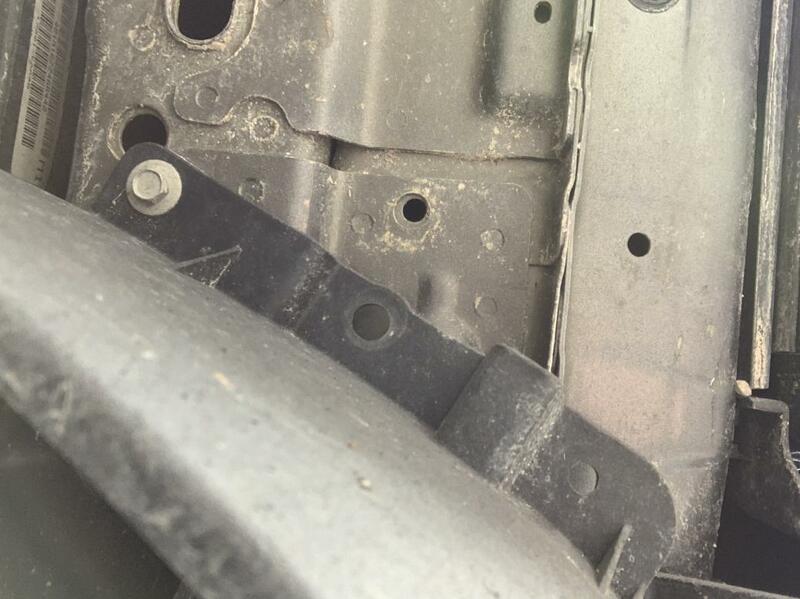 * Some noise heard under... dealer said some nuts weren't tighten, they could turn them by hand. * Low Power Steering fluid. Nissan probably don't pay workers enough for them to care ? I ended up installing plastic fasteners I recently bought on Amazon. Will see how long they will last. I wonder if the original ones broke from snow or car wash (with rubber cleaning belts hitting flaps) as my front license plate was constantly bent by the car wash (bad bad design of the front license plate holder with license plate fastened with just top screws AND bottom of the plate sticking out. Ended up bending plate's bottom and attaching with 2 more screws). Ive wondered what the flaps are even for? I could understand if they were behind the tire, but in front? I think it's to improve aerodynamics just like the deflector under the front bumper. Other vehicles have them too. Canadian 2017.5 Pearl White SV w/Driver Assistance Package replaced '14 SL Pearl White. Cargo net. Cargo protector (home made with carpet). Nissan black rubber floor mats. SS rear bumper protector. Draw Tite hitch. Blind zone mirrors. Wheel locks. Blizzak DM-V1 245/70/17 w/steelies & wheel covers. Spoiler under front bumper removed. H11 to H9 low beam conversion. Nissan polished SS rear license frame. Murano's are heavily vested on aerodynamics. Lots of aftermarket discussion that up to 30% of drag comes from the bottom of the car. Flaps shave a few points off the drag coefficient.